Managing a project portfolio can be quite a task without someone stealing the resource you have allocated. That's the reason you can put a padlock on plans you have made. Ganttic allows you to choose general project editing permissions as well as editing permissions for each project specifically. The latter overwrites the first. Project editing permissions of a specific project overwrite the general project editing permissions. However, the user must also have the resource rights to edit the tasks of a project. 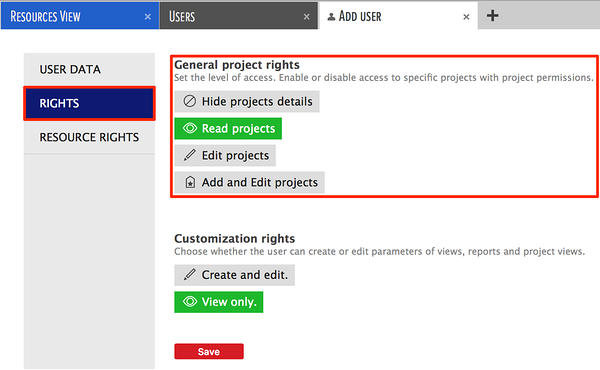 The user can open single project views however the projects' details are hidden. 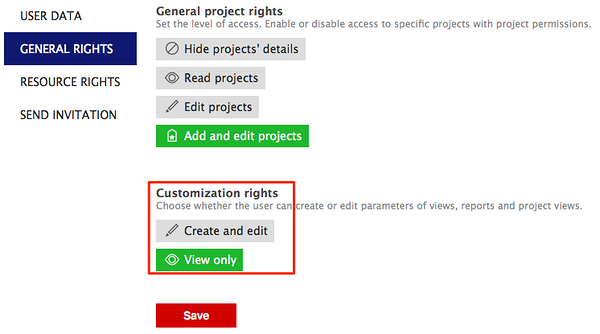 Projects' details can be viewed however the user cannot edit them. The user can view as well as edit the projects' details. The user can add new projects, edit and view existing projects' details. You can access it through the sidebar on the right. Doing so will open the permissions menu. You'll find it from the menu on the left. Did not find the answer to your question regarding project editing rights?